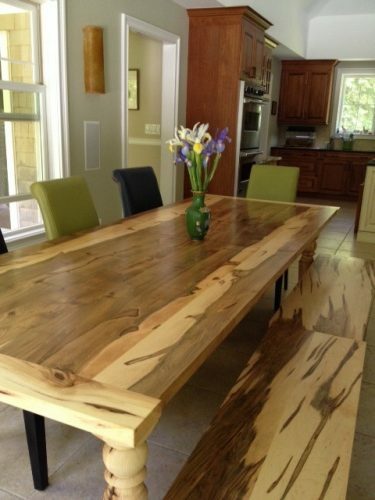 A family in Woodbridge lost over twenty trees in the storms of 2012. 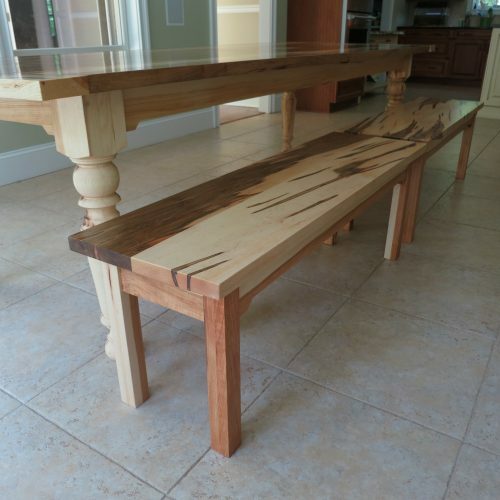 They were devastated and wanted to reuse some of the wood to make furniture from the trees that had surrounded them for so long. 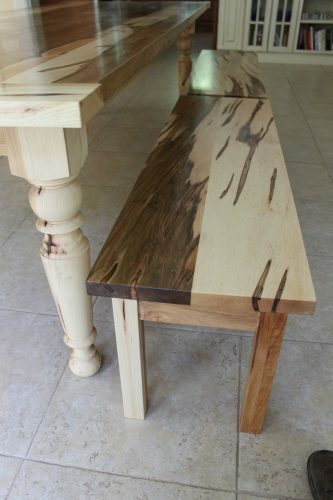 We milled most of the wood for their future home projects and we kept the maple and hickory for furniture. 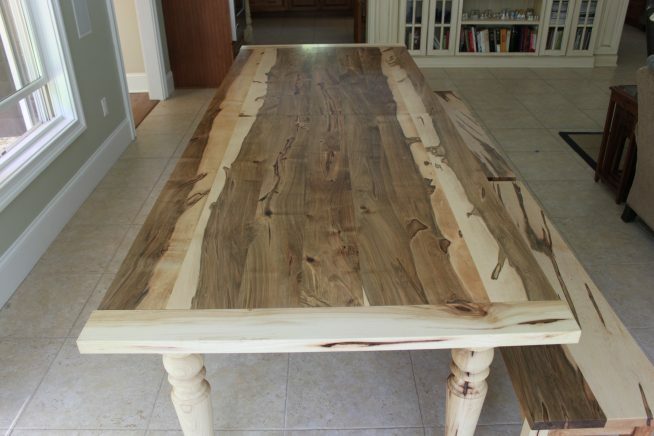 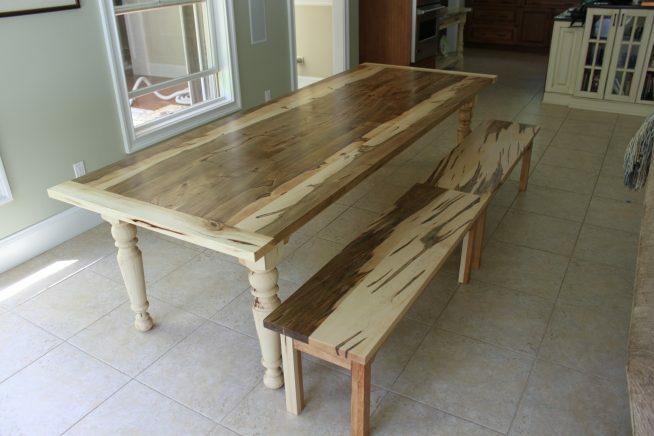 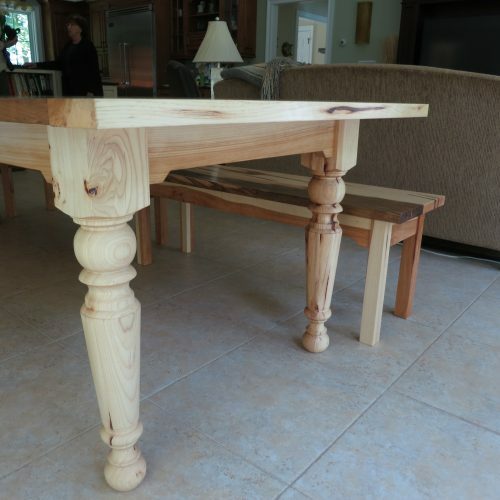 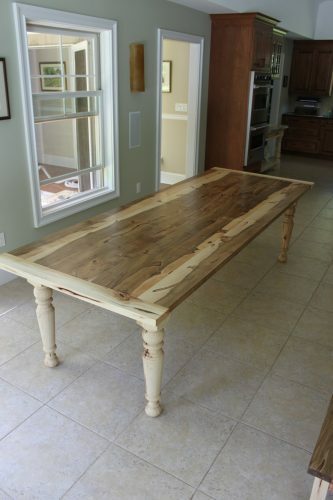 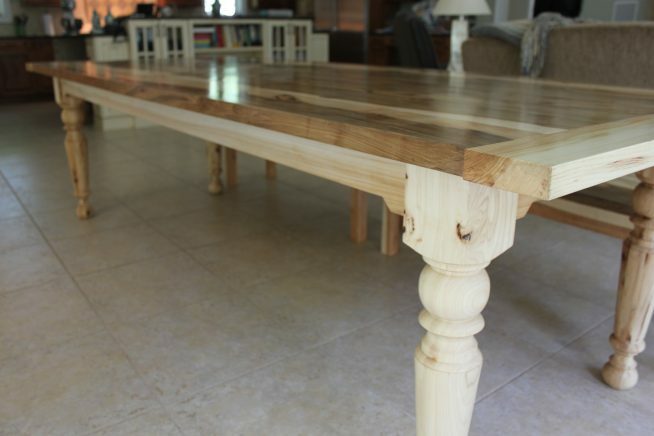 We made the table and bench tops from ambrosia beetle stained maple and the bases from hickory.